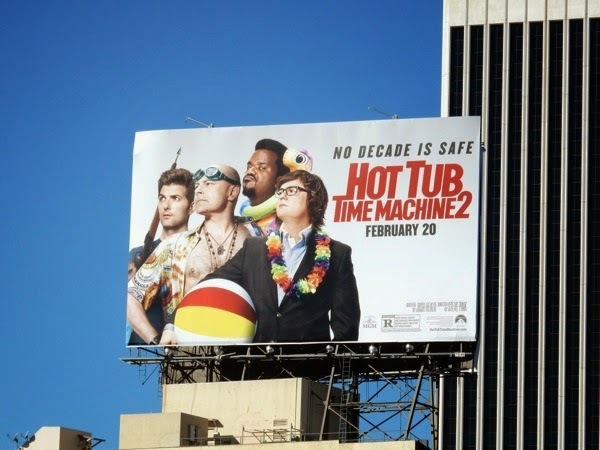 Just when you thought it was safe to go back to the multiplex, along comes Hot Tub Time Machine 2, and no decade is safe. 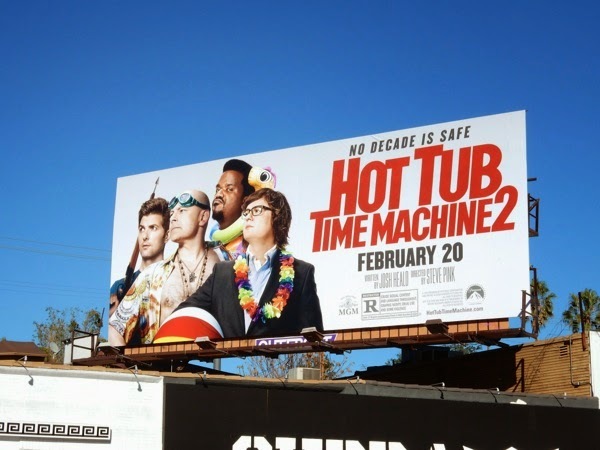 Craig Robinson, Rob Corddry and Clark Duke are jumping back into the magical tub to travel through time, to the past and the future, and this time Adam Scott is along for the ride too. 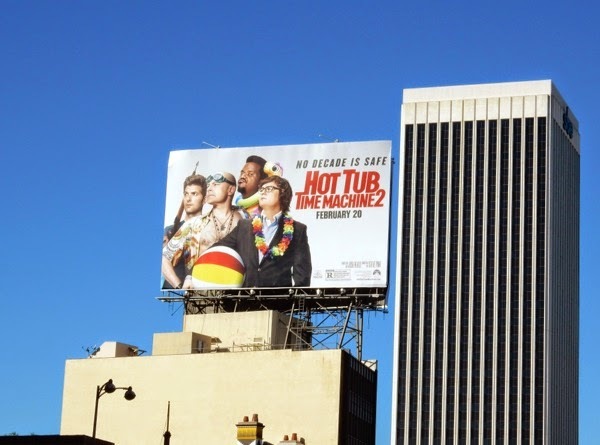 In this follow-up to the 2010 movie, the guys discover that messing with the past for your own personal gain can have dire consequences for the future (especially when someone tries to kill you), but at the same time can provide a whole jacuzzi full of laughs. Would you trust these guys to fix time? 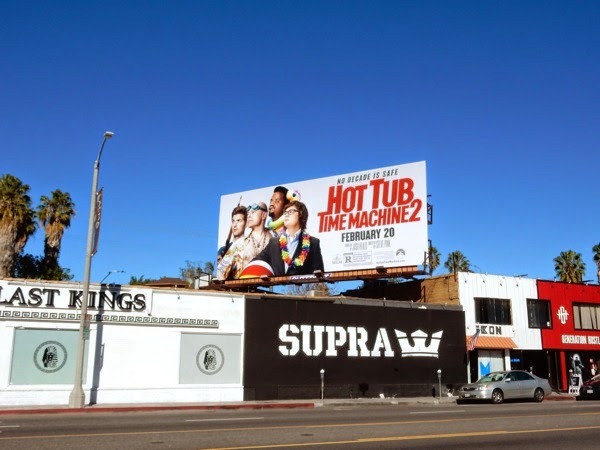 These film sequel billboards were snapped along Melrose Avenue on January 15, plus high above Wilshire Boulevard on January 24, 2015. If you're a fan of the original comedy, be sure to also check out these movie costumes and props from Hot Tub Time Machine on display. Are you ready to do the time warp again?